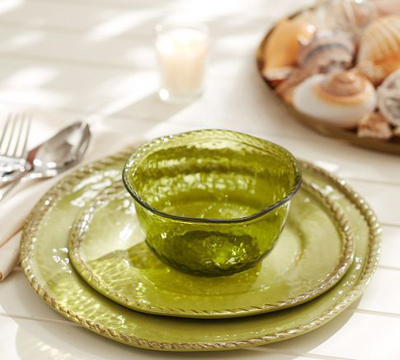 This all-melamine Rope Outdoor Dinnerware lets you dine outdoors all summer long. Each rope-trimmed piece bears the beautiful appearance of hand-painted and -glazed Italian country ceramics, but is completely unbreakable. Mix and match these plates to set a table that’s both stylish and easy. $26-$34. Free shipping. Buy here. to discover issues to further improve my web site!I suppose its alright to generate use of a number of of one’s principles! !